Hanoi (VNA) – Vietnamese labourers will have opportunities to receive free vocational training in Germany under a programme to look for skilled workers in the Southeast Asian country launched by the Chamber of Industry and Commerce for South Thüringen (IHK Südthüringen). A workshop was organised in Hanoi on April 8 to provide detail information on the programme for local students who want to get vocational training and work in Germany. Since it was initiated in Vietnam in 2016 by the Hanoi IEC Co. Ltd (HANOI IEC) - the representative office of IHK Südthüringen in Vietnam, the programme has recruited 100 Vietnamese workers who later pursued study in food processing, medical glass production, construction and industrial hygiene, among others in the European country. 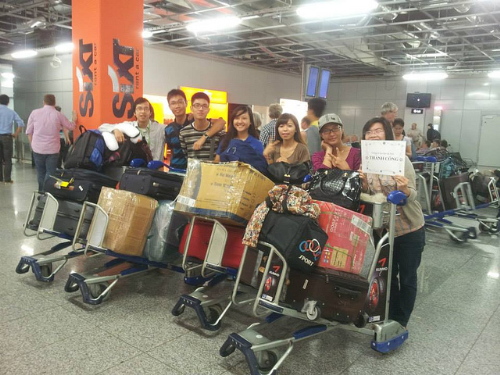 According to Dinh Thi Huong Giang from Hanoi IEC, Vietnamese students are provided with free German-language training before going to Germany to attend three-year courses. They have chances to work at German enterprises after completing the training programme. Andre Merkel, a representative from VR-Bank - a member of the recruitment programme, expressed his satisfaction with the capacity of Vietnamese students who are having internship in his company.